Cut potatoes, peeled or unpeeled, into desired size strips. 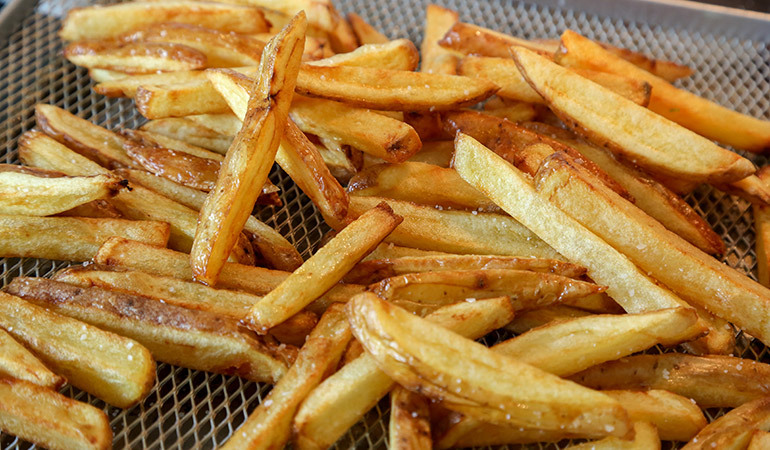 For crispier fries, cut them thinner. Soak potato strips in water for about 2-3 hours. 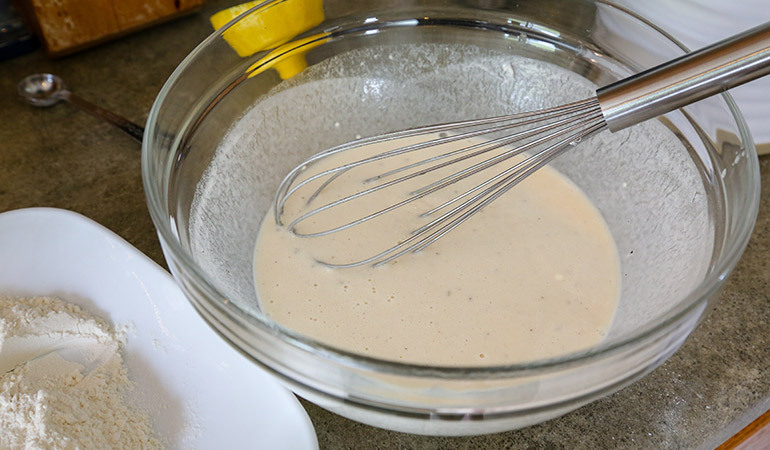 In the meantime, make the beer batter by combining the dry ingredients first, and then whisk in the beer. Refrigerate the batter, covered, for up to 3 hours until you’re ready to use it. Combine tartar sauce ingredients and refrigerate until ready to use. 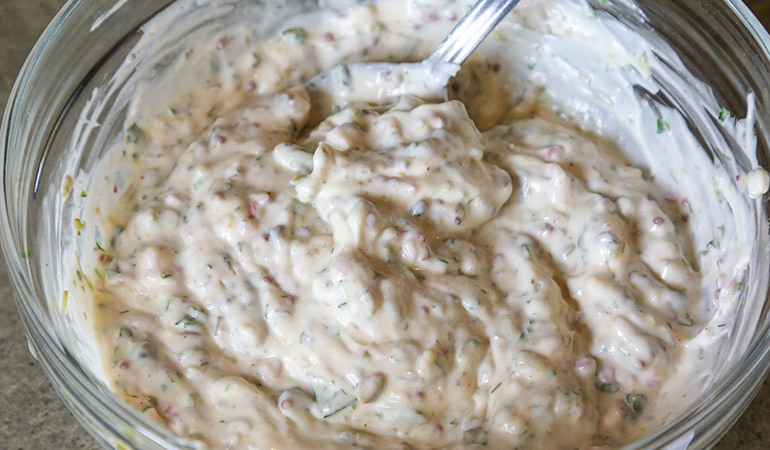 This tartar sauce recipe will stay fresh for at least a week in your refrigerator, although I've kept it for much longer. 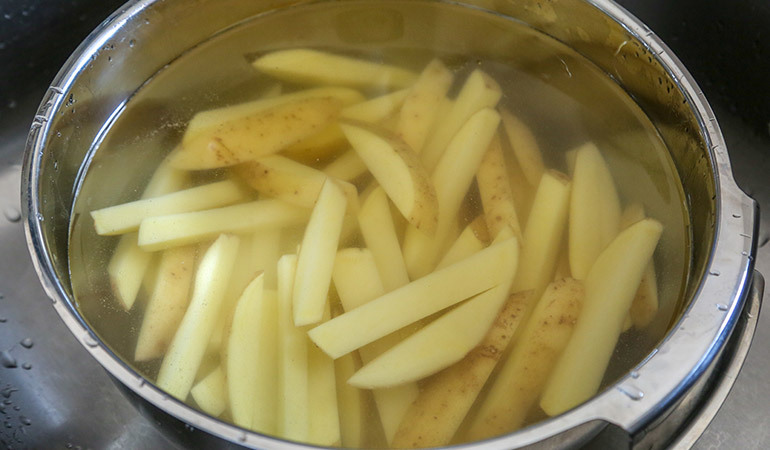 To fry the chips, first drain potatoes and lay them out onto a large cookie sheet lined with paper or cotton towels. Dab the potatoes to get them as dry as possible – water and hot oil do not mix. Then heat oil to 300 degrees Fahrenheit, and fry in batches until potatoes become tender, about 5 minutes. They will still be blond at this point. Drain them on paper towels or on a cooling rack. Then crank up the oil temperature to 375 degrees. 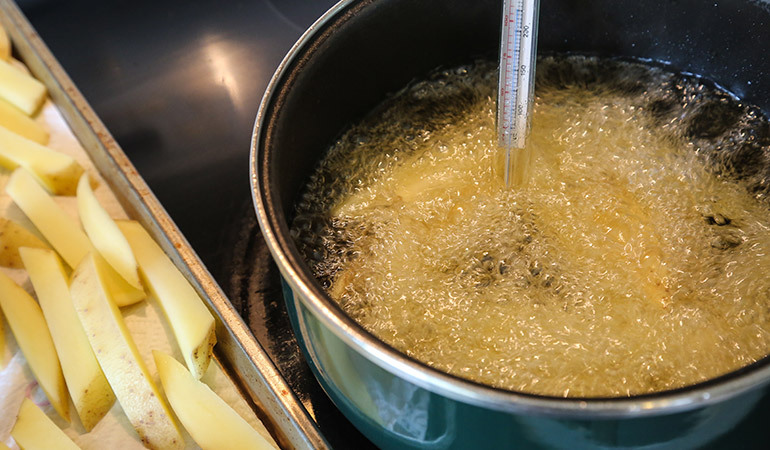 Fry the chips again until golden and crispy – do not overcrowd the pan to keep the oil temperature from dropping too much. Transfer chips to a cooling rack, toss with salt to taste and keep warm. 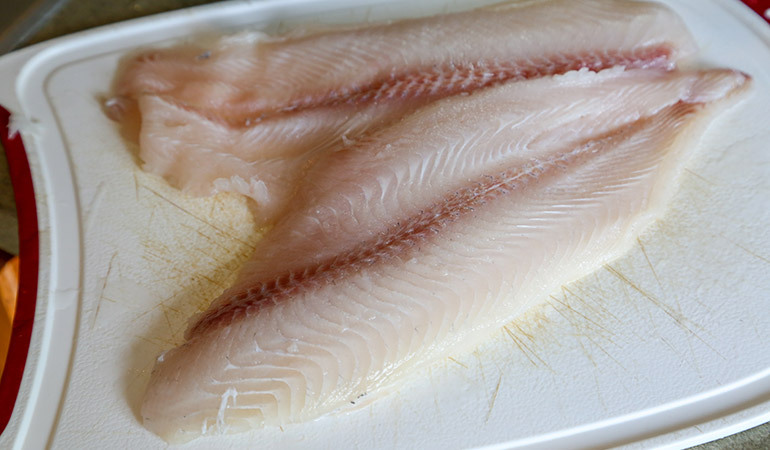 Rinse catfish fillets with cold water and dab dry. Cut the fillets into smaller pieces if desired. 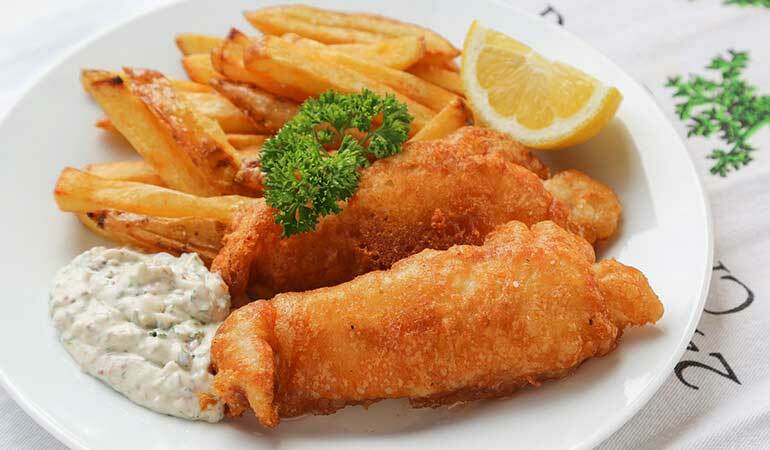 First, lightly coat the fish with plain flour (do not skip this step) and then coat with the beer batter. Carefully drop the fillets into the hot oil (375 degrees) and cook until golden and crispy. 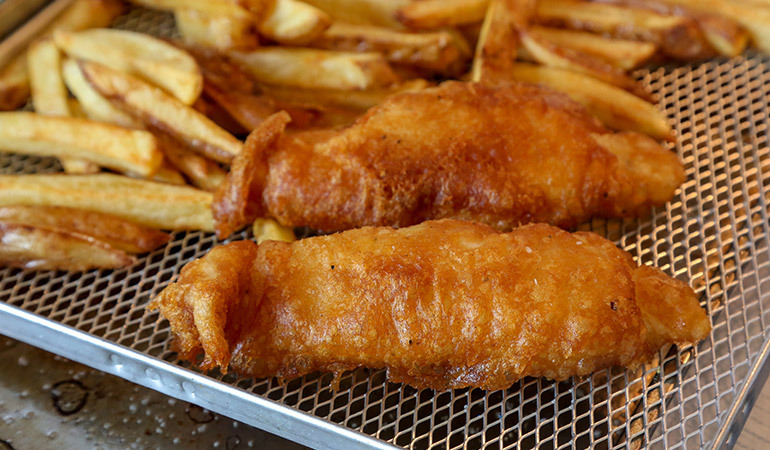 Drain before serving with chips and tartar sauce.